I have never before shared my love of natural products with you guys. The deal is I love natural products as I feel the lesser the ingredients the better they are for the environment and ourselves. Forest Essentials happened to be one of my favorite brands in skin care till we drifted apart 'cause of the new brands coming up on the horizon. But, I promised to return after sampling the forbidden fruit (i.e. all the new products in the market). 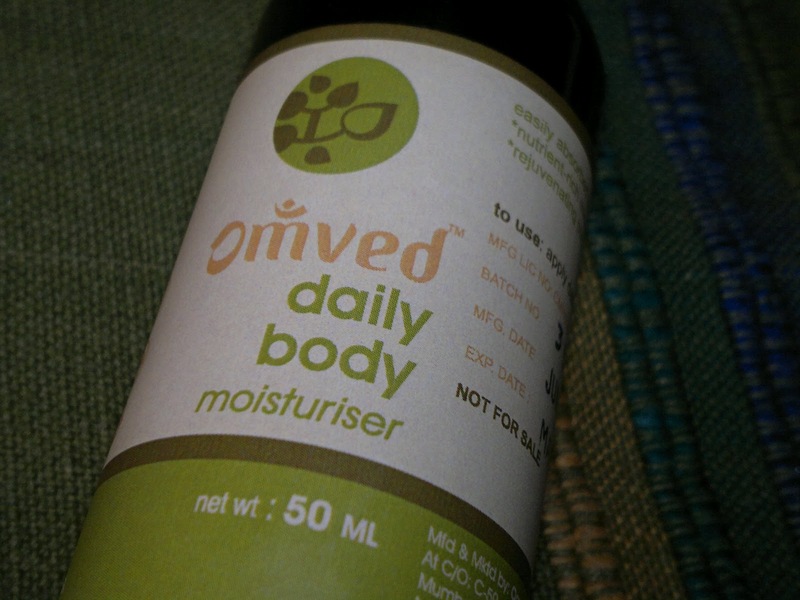 Before long, I found an interesting brand Omved promising the goodness and essence of Ayurveda in the blisscovered Januray box 2012 (shown here). Loved it to the core!! Recently, I got a chance to sample some more products, one of which happens to be this wonderful and fabulous body moisturizer. Price: INR 790 for 200 ml of the product (I have a 50 ml sample costing INR 250). 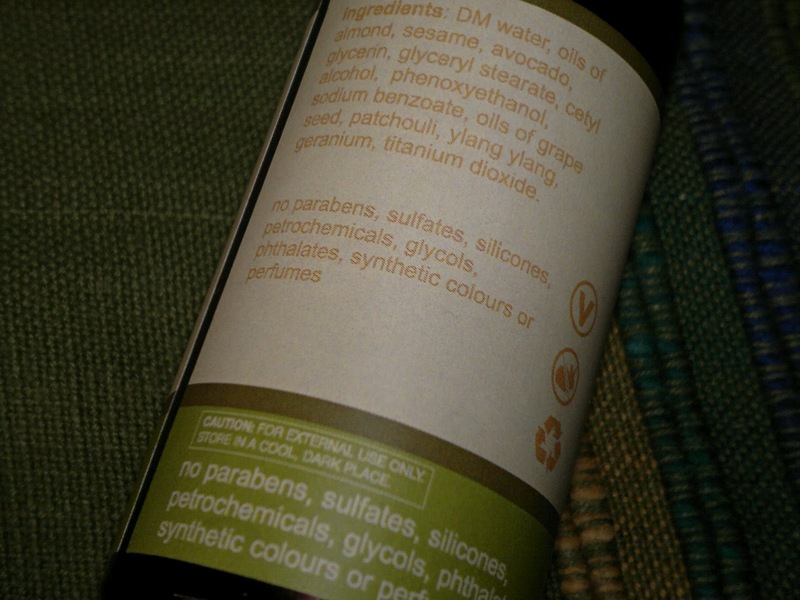 Packaging for the 200 ml product from the website shows a pump, I have a small bottle (without a pump) which makes taking out the product a little difficult. The moisturizer is white in colour with a cream-gel like consistency and awesome fragrance (due to patchouli, I guess). In fact, I would say that I am in love with the fragrance. Though mild it stays on me for atleast the whole day before fading away at night. The fragrance has a calming effect on my mind overall. Now, coming to the moiturization part. The moisturizer is light but moisturizes pretty well and a little goes a long way. Spreads easily and smoothly and provides moisturization all day long even in this dry winter weather. Product rating: A+. Available at Omved shop (in Mumbai) and online here. Would have purchased definitely if they had a store here.